A stimulating atmosphere of intellectual give and take. Yeshiva Schools is one of the few day schools in the country that offers a full secular and Judaic program from preschool through high school. This consistency and continuity maximizes performance on all levels; every aspect of learning and development can be addressed and tracked from year to year. This benefit culminates in high school, a time when learning is solidified and life paths are chosen. In the academic realm as well as in extra-curricular activities, a Yeshiva education synthesizes all areas of learning. In their senior year, high school girls write thesis papers, in-depth research projects that frequently address Jewish themes and Torah perspectives. High school boys learn how to study Talmudic Law independently, connecting them to past generations and providing knowledge for future ones. To complement the academic curriculum, Yeshiva high school students participate in a wide range of community projects, such as a weekly hospital visitation program, which services the diverse needs of patients in area hospitals. This integration of practical knowledge and social awareness equips Yeshiva students for fulfillment in personal, professional, and communal endeavors. 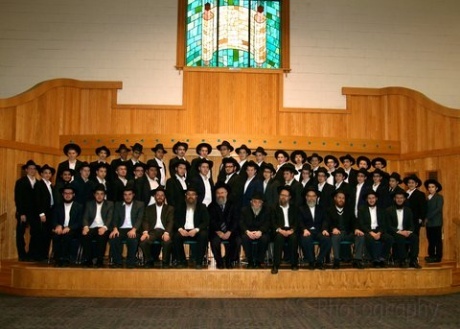 Yeshiva students have been accepted at the finest Yeshivas, colleges and universities around the world. Each graduate is equipped with an integrated Jewish identity that lays the foundation for becoming a self-actualizing individual and a precious resource to the Jewish people.